This heartwarming collection of figurative sculptures captures the best of life’s special little moments. 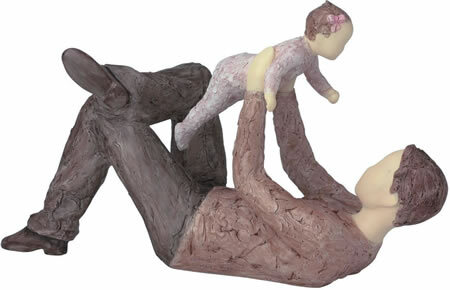 Expressions of love, friendship and gratitude are found in each ‘More Than Words’ figurine. Designed and sculpted in Great Britain by artist Neil Welch, each piece is cast in a blend of heavy porcelain and ceramic, and then fired and hand painted in a soft color palette. A true gift from the heart, each piece comes in a lovely gift box, ready to be presented to that special someone.